Cities are central to modern civilisation. 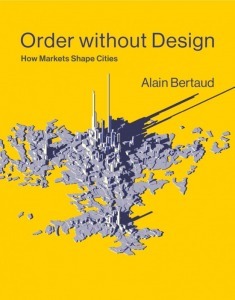 A magnificent book by Alain Bertaud tells us how to fix them. Over the past two years living in Mumbai has had me escape three near-death experiences: First, the Mumbai flood following heavy rain on 29thAugust 2017. Second, the stampede at the Elphinstone Road railway station on 29thSeptember 2017. Third, an escape from a building on fire in 2018. About eight people die everyday while commuting in Mumbai locals. The reason behind all these calamities is furthest from being force majeure. They are all a result of poor urbanisation. 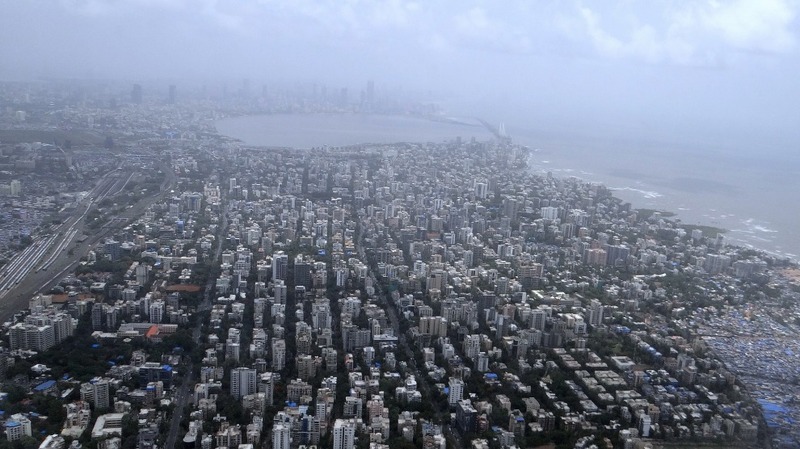 Cities (especially in India) are unsafe and unaffordable for most, yet millions throng to them. More than 40 per cent of Indians live in cities, just as close to 55 per cent of world’s population lives in cities. The broken state of cities affects more than half the population of the world. Nations stumble upon establishments, which are indeed the result of human action, but not the execution of any human design. The rest of the book magnifies this principle through personal recollections as an urban planner, case studies of multiple cities, and a great number of graphical representations of patterns, variable relationships, comparisons, intricate maps, and work of fellow scholars. Here are a few basic insights. Cities are labor markets. Cities grow when their labor markets expand. The balance between job seekers and job providers is established by the “accumulated decisions of the firms and households to ‘vote with their feet,’ or selecting to move to cities that will grow and to leave the cities or villages that have less potential.” It is the nature of this sum of uncoordinated, individual decisions that determines the order of a city. What determines the shape of cities? The built up floor-area ratio is the numbers of units of floor space that are built on one unit of land area. Population density is the concentration of people per unit of land. Both built-up floor area ratio and population density should be determined entirely by markets. Road space per capita obtained by dividing the total road area by the total population of the city is dependent on both design of road infrastructure and operation of markets. It determines the availability of road per individual for commuting within the city. When urban planners control or design floor area ratio and population density by using zoning regulations cities lose their flexibility which leads to price distortions and poor allocation of land. The power to determine zoning laws also gives urban planners discretion over developers acting as a deterrent for the benefit of all the city residents. Models developed by urban economists help explain how land markets shape cities. It provides an understanding of the basic movement of land prices and rent as income, transport costs, and land supply change over time. An important learning from the model is to prohibit planners from fixing population densities through regulations. Increasing mobility and affordability are the two main objectives of urban planning. These objectives are directly related to the overall goal of maximizing the size of the city’s labor markets, and therefore, its economic prosperity. Mobility is the ability to choose among all jobs and amenities offered in a metropolitan area while spending less than 1 hour commuting. The productivity per worker is closely correlated to the average number of jobs per worker that are reachable in less than 60 minutes. A travel time greater than one hour renders the worker ineffective. The objective of an urban transport strategy should be to minimize the time required to reach the largest possible number of people, jobs and amenities. The choice of commute is dependent on the household income and a city’s spatial structure. From the viewpoint of speed and duration of commuting trips, car trips have an advantage over public transport. The main enemy of mobility is congestion. Congestion is due to a mismatch between road space supply and demand. Increasing the supply of roads is expensive and difficult while addressing the demand of road space is easier. The solution lies in understanding mobility to be a real estate issue. A vehicle moving on a city street uses the area corresponding to the vehicle’s dimension plus the area required to prevent a collision with the preceding vehicle. A commuter using an urban street should be submitted to the same type of pricing system as a traveler renting a room in a hotel or an airline flight. When households select their dwelling space their choice reflects the trade-offs between rent, floor area, and location. Location is extremely important as it provides access to the rest of the city and its labor market. Housing affordability determines whether housing is “socially acceptable”. Urban Planners should be held responsible for unaffordability in the same way that public health official are held responsible for infectious disease epidemics, or police are held responsible for high crime. Government policy of setting minimum housing standards pushes poor to move to informal housing, while restrictive urban planning regulations restricts the supply of affordable housing. Master Plans are prepared every 10 years based on the false assumption that a city is like a very large building that needs to be periodically renovated and expanded. If anything, cities are dynamic spatial structures constantly evolving requiring the creation, maintenance and monitoring of extensive urban database. Most of these plans go unimplemented. Planners often place containment policies to the growth of a city to restrict its expansion of land. However, the whole purpose of cities is to increase the welfare of the population. This welfare is expressed in terms of increased income, and therefore in increased residential floor space consumed. If the expansion of cities is restricted, it artificially decreases the floor space available. Urban economists suggest the emergence of large urban clusters grouping 100 million people that would require a major overhaul in transportation to integrate the labor market. The arrival of self-driving cars may have potential to find this new mechanism. At the same time smaller cities would lose populations as the younger population would migrate to larger urban clusters leading to high dependency ratios. Many of the challenges would be unprecedented and remain unforeseen. Order without Design is an assembly of the wisdom obtained by the author through his 55 years of understanding. The purpose of the book will be met if the reader finds herself well-exposed to the concept of urban economics. Cities affect our lives the most. It is dismal to observe how little is known about the greatest institution humanity constantly creates and modifies. The hubris of planning is the default in every sphere of life. Prosperity has been achieved in identifying its fallacies and unrolling its negative impacts. The book is the timeliest treatise on urban economics that is accessible to everyone. Its lessons are crucial for all developing cities including those in India. We must fix our cities, now. 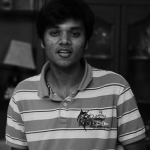 Saurabh is trained in economics and is a student of law at Government Law College, Mumbai. He is an admirer of the blues and jazz music forms, shares his birthday with Ella Fitzgerald and can be found glued to his kindle at all times he is trying to avoid human contact.